Different substances may be different in appearance, smell, feel or colour. The table below shows the differences. 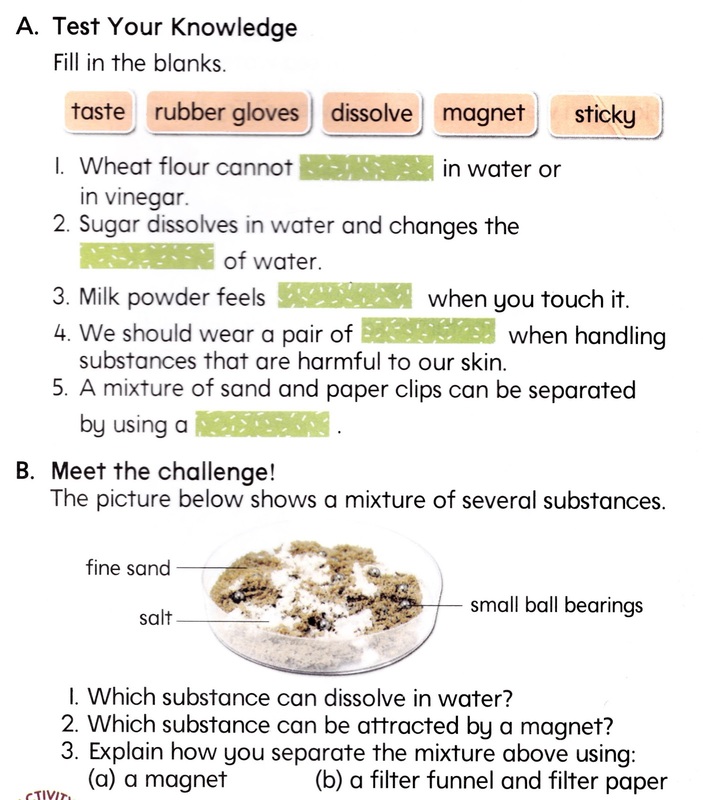 The table below shows the result of mixing substances with water and with vinegar. 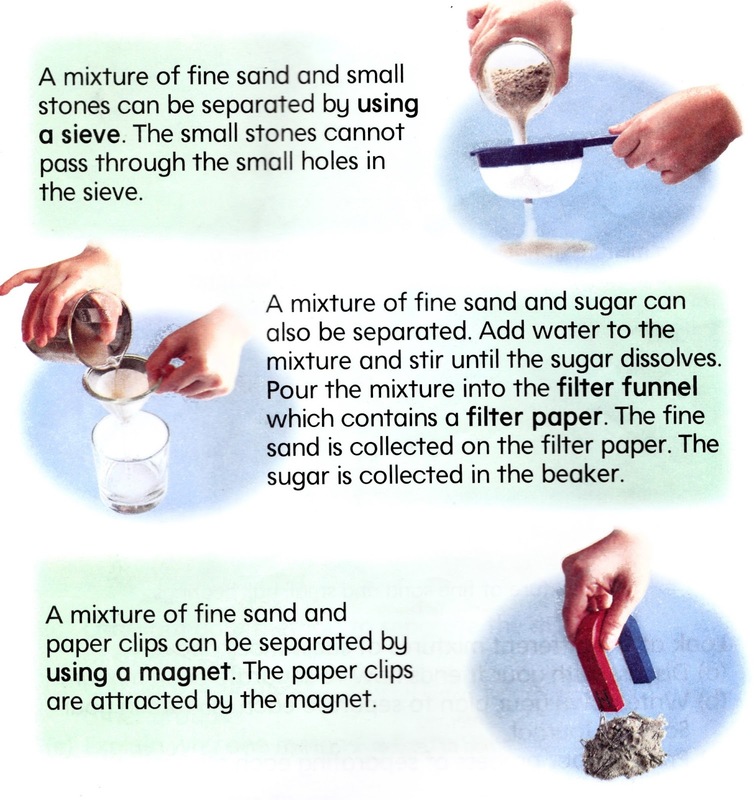 Some substances such as sugar and salt dissolve in water and in vinegar. 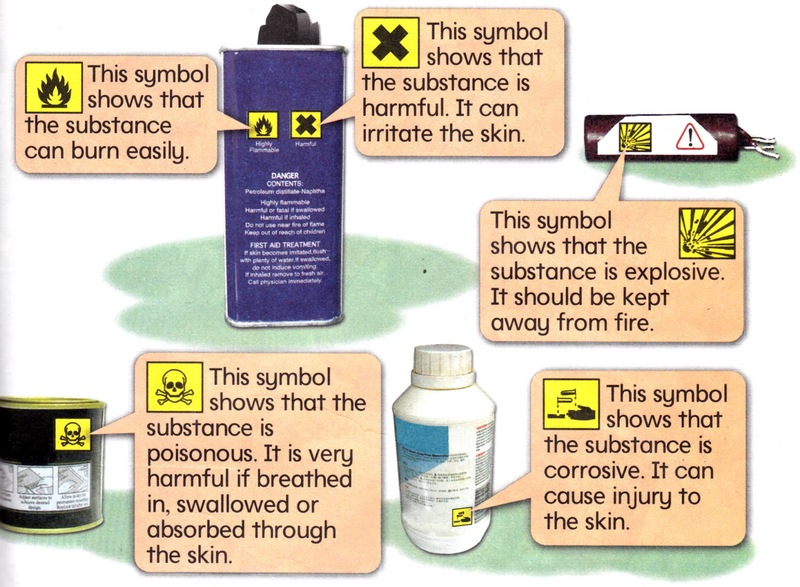 Unsafe substances always have words such as "Caution" or "Warning" on the labels. These words tell us to be careful when we handle the substances. Some substances are unsafe. They have labels and are usually kept in containers. They also have certain symbols on their containers. The labels and symbols on the containers tell us how the substances can cause harm. They also tell us how to handle the substances carefully. Do not touch, smell or taste any substance before reading the label or asking an adult about it. A mixture of substances can be separated in different ways. 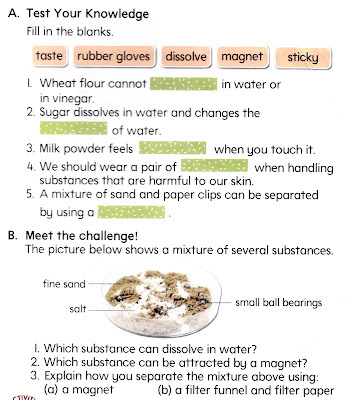 You can decide how to separate the mixture according to the properties of the substances in it. 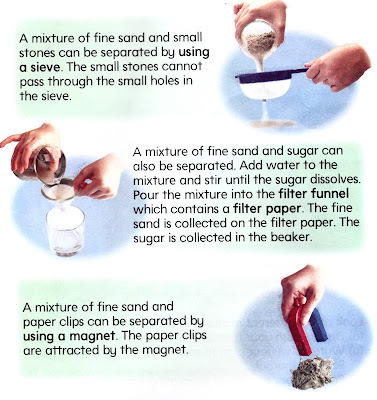 A mixture of substances can be separated using a filter funnel and filter paper, magnet or sieve.